Transfer of Berkley/Family First to Danvil Then to Legacy. Most of the comments I’ve read on the Internet about Family First and Danvil condemn the high-pressure and sometimes traumatic marketing methodology of Family First/Danvil. And I understand. Because I was once pressured. And like them, I also spent nights thinking how I could be so gullible and so weak. But later on, I had to decide: whether to lose what was first swiped off from my credit card or to continue paying to prepare for the future, as the agents said. The key factor then for me was the American firm Berkley, which launched the pre-need plans and which partnered with Family First to market its plans. I continued paying and fully paid my plan in 2005, eased by the thought that Berkley is an established American company and I’d get the results of my hard work in 2010, the year my daughter would be in second year college. But then, the announced transfer of the plan portfolio from Danvil to Legacy put doubts in my mind. I emailed Danvil’s president, Mr. Daniel Villanueva, and demanded for the return of my money in full. But a few days after a one-on-one meeting with Ms. Aurora Dino, assistant vice president and branch head, at Danvil’s office in Makati, I reversed my demand and decided to go with the transfer. • They delivered letters to everyone about the transfer. She said that’s one sign of being in good faith. • The Securities and Exchange Commission (SEC) has become stricter with Danvil because of what happened to CAP, Pacific Plans and Platinum. • She, Ms. Dino and most other Danvil officers and personnel, will be transferring to Legacy as part of the portfolio deal. • She described her professional and personal circumstances and said that I can depend on what she says and that I can trust her. Last July 2008, Ms. Dino emailed me and said that the transfer is still in process and is not yet a done deal. I’ll suspend criticizing Family First or Danvil online because I’m still hoping that Danvil can resolve whatever has prompted it to negotiate a deal with Legacy. Lastly, I believe that Berkley, which launched the pre-need portfolio and then later sold it, has a moral obligation to ensure that the planholders get the results of their investments on time and in the right amount. I’m a Plan holder of Danvil. Maturity date of policy was on March 14, 2018. I was not aware of Danvil issue. I would like to ask if I can still claim and where I can claim.Maraming Salamat Po! Do you know Danvil’s new number? – numbers below doesn’t seem to work. I’m a planholder and maturity date is July 2019. Do I still need to wait until July to file for claim or I can go to their office in Banawe to file for claim as early as now? Thanks! I would advise you go directly to the page Danvil Plans@workingpinoy.com. All the info you need, including latest contact nos. of Danvil Plans, the requirements for claiming are there. Just read on the posts and comments. All the answers are there. Good luck. I am a planholder and maturity date is October 2018. Where can I claim? Can you give me the address or contact number or contact person so I can inquire about the requirements needed for me to be able to claim? I am presently residing here in Cagayan Valley and planning to go to Manila this month-end to visit your office. Can you considerably provide me your address or just message me for the requirements needed in claiming? Thank you and more power. The policy holder of Family first/Berkley “Family First Future Provider Plan Program” just died late last year. We’re having a problem on where to claim. Please advise how the beneficiary can claim the proceeds of the plan holder. Kindly contact us at 09178141096 or 9350585 or ajrcmarketing@hotmail.com to provide us a guide on what we should submit and do. To whom should we file our claim? Hi , I’m Elmer A. Panuncialman, I’am not also aware of the issue and it’s deadline. My maturity date is 2018. I just discovered the issues right now. Please help me to claim my money. Thank you. Hi my maturity date is april 2019. How can i claim my plan? I was also a victim of the Family First scheme in Megamall sometime in 2002. Swiped my credit card not understanding the terms I have signed with them and had to pay monthly for 5 long years.. Now i Want my money back… Where and How can i reach and contact now that the company has merged with Danvil? Hi Jobelle, please see the list of requirements here: Danvil Plans, then file your claim at the address posted. Hi , I’m Jobelle Altares, I’am not aware of the issue and it’s deadline. My maturity date is on December 2018. I just discovered the issues right now. Please help me to claim my money. Thank you. My maturity date is march 2018. how can i claim it? please provide the detail or complete address and phone number of them to visit their office. I’m a policy holder of Family First/Berkley International. My Maturity date is on February 15, 2018, Where can I claim. I’m a policy holder of Family First/Berkley International. My Maturity date is on January 2018, Im OFW, where can I claim. I only hear from my sister that your office in not in Megamall now. Hi Ms. Nora can i go direct to danvil office @ Q.City? I bring all my documents and they can received there. Can i ask who is the person i look? I start paying Family first Inc on January 8,2006 and will mature on January 8, 2021. What should I do to get my money. Itry to contact them but the phone is not ringing. Can I still file for claim now? The maturity of my plan was on April 20, 2017. My policy in Family First matured date last Nov.15,2015.How can I get the Full payment of my policy? My mother handed me over her certificate of full payment of her policy in Family First to facilitate how to claim its benefit. I’m so surprised and dismayed that the company was bought (from Danvil) by the defunct Legacy. If my mother will know about this? She will be again brokenhearted! if you able to read this, please please contact me ASAP? Ask LBC the estimated date your documents will be received by Danvil. After your documents are most likely received, email Danvil Plans danvilph@yahoo.com and tell them you have sent your documents through LBC and will they please confirm if they have received the docs. You will submit your original papers at the time you will receive your cheque. It’s so sad but based on what I have read, you won’t get your maturity amount; you will get back only the total of what you have paid. Hope you’ll be able to send your docs ASAP. Hi, my policy for Family First matures on May 27, 2018. How can I contact and who will I contact about my claim? Hello Nora,My name is Dino Martinez. i am a plan holder of Family First, my policy had already matured August 2016. I sent the photocopies of the documents as required and sent it thru LBC on October 13, 2016, i received a confirmation of delivery from LBC that said parcel letter has been delivered. Until now no response has been received from Atty. Togonon. Please can you give me assistance regarding this concern. Thank you very much. Hi Mam Nora,Our policy matured last November 2016. Are they still located at same address? According to what I read, does this mean they have no capacity of giving what they promised after 15 years? How much is service fee joining in your group to expedite the claim? Hi Josephine, yes, you can still file. File asap. Photocopy the required documents, listed here: Danvil Plans, and send them by mail or by LBC or other courier to the address included in the notice. Don’t use EMS as EMS here don’t deliver docs door to door. Don’t send the originals, as they might get lost in transit. Anyway, you can present the originals at the time you’ll claim the cheque. According to them, for those plans that have not yet matured, they will just return the total of premiums paid. If it’s any consolation, this is much better than what other pre-need firms have done. One firm gave out just 1,000 pesos as initial payment. To substitute for the cert of full payment, photocopy the first and last statements of account that shows your initial payments and last payments, showing you have completed the payments. After maybe a week, email Atty. Rony D. Togonon rdtlaw21@gmail.com CC danvilph@yahoo.com and ask if they have received your documents. Hello Nora, I hold 2 policy plans of Family First. FPN235553 and FPN235552. I have fully paid this plans but i don’t have the certificate of full payments of this policies. I only hold the statement of Accounts since I started and finished paying for this policies.Both policies will mature on 2nd of April, 2017.I am based here abroad. Could you please advice me on how to file my claim. Can I file my claim at this time? Thank you. My plan will mature on March 2017. Should I file my claim now or should I wait until the maturity date? I have all the necessary papers and documents and also the Certificate of Full Payment. Hello Nora,My name is Dino Martinez. i am a plan holder of Family First, my policy had already matured August 2016. Please help me find a way where to claim it.The money i deposited is hard earned money. Please can you give me assistance regarding this concern. Thank you very much. Hello Nora,My name is Dino Martinez. i am a plan holder of Family First, my policy had already matured August 2016. Please help me find a way where to claim it.The money i deposited is hard earned money. I have no idea where to claim, Please can you give me assistance regarding this concern. Thank you very much. Hi cheril, what is the name of your pre-need company? Is it Family First? or Danvil Plans? If yes, see the list of required documents here: Danvil Plans, then file your claim at their office at the corner of Banawe and Quezon Ave.
Hi!im cheril malabed.we are also a plan holder since 2001,and the maturity date of our plan was last july 2016.we dont have any idea of whats going of this company.but we want our money back to. can u please tell what are the documents do you need,to be able to file a complain.is there any tel# so i can talk to any personel regarding this matter?pls help and cooperate.thank u.
Hi Cynthia, I emailed you. I would like to inquire for the Family First Insurance that I undergo as a Policy holder starting November , 8, 2001. My Plan Number is FPN232910 with the contract paymnent terms of Five years and the maturity of 15, years which will be on November 8, 2016. Kindly advice me how I could claim my Completed Plan as the date that was mentioned. There were rumors of Family First Closure and I have not received any noticed when I completed the payment for five years which was debited in my monthly salary. where can i claim my check. danvel insurance claim july 26,2016. pls. reply me. Hi Ma. Isbel, go here Danvil Plans, scroll down and see the list of documents required for filing your claim. You can also see the office address. Hi Ms. Nora My sister is a holder of policy insurance from Famiily Firt Inc. and this will mature on September 2016. Where can she file the claim for that contract. Hoping for your reply at the soonest. Thank you. Hi Leslie, do you have your Danvil documents there abroad? You can file by sending the required docs through LBC or another trusted courier. If your docs are here, you can authorize your family to file these for you. Go here: Danvil Plans. Scroll down to “Notice to the Public” and see the list of documents required and the address of the office where you should file. I hope you or your family can file asap. Im a plan holder of Family First with plan nos FPN415099, 415104, 415102, 415105, 415106 and 415107, These plans have a maturity date of Oct 2016. How could i get my maturity benefits whom shall i call. Please this is an urgent request. Hi! I’m Elmer Barros member of family first Berkley . I would like to know where is the address here in the Philippines cause I’m here now in the Philippines so I can speak one of the agent regarding my plan. Hi Ma. Rebecca, you can photocopy all the required documents and then send to the Danvil liquidator through a courier (LBC, FedEx, DHL, etc.) that delivers door to door. See the list of docs here and the address: Danvil Plans. Scroll down to see the Notice to the Public. You’ll see that there was a 2015 deadline, but you can still file your claim asap. When it’s time to claim your check (visit insurance.gov.ph for Danvil release announcements from time to time), you need to authorize someone with a SPA to present the original documents and claim your check. I think they can also deposit your check into your Philippine account, if you make a special request. Hi Ian, you can photocopy the required documents and send it to Danvil through a courier. See the list of requirements here and the address. Presents the originals when it’s time to claim. Hi Mario, do you mean your plan documents are with you abroad? Have clear photocopies then send them by courier (door-to-door) to the address here: Danvil Plans. Scroll down a bit to the list of requirements and instructions. Keep your original copies and submit them when you claim your cheque. Check from time to time insurance.gov.ph for Danvil announcements. Yes, for those plans that have not matured yet, the total premiums will be returned. Hello, I’m Mario Jimenez. I purchased 5 plans for my family last Jan 9, 2002. I fully paid all those plans last Jan 2007 but I’m afraid I lost my Full Payment Certificates. My plans are supposed to mature on Jan 2017. I am planning to go home next year (2017) just to get the maturity benefit and only to find out Family First Inc + Berkley (now Danvil) is already under liquidation. I didn’t know this until few days ago I happened to stumble to those plans in my filing cabinet. It’s the 14th of June 2016 today, can I still claim my premium payments (the least I can hope for)? Ms.Nora. I saw the other requirements to file for my claim. My question now is how if i dont have the certificate of full payment. I dont think they sent me that. Another question is can i file for my 2018 and 2019 plans now? Thank you so much for your help and informations. Hi Madelyn, if your documents are in the Philippines, you can authorize by special power of attorney your sister in law to file for you. The notice from Atty. Togonon, the list of required documents and the office address are here: http://www.workingpinoy.com/pre-need/danvil-plans/ If your documents are there with you, you can send xerox copies through a courier. If through your sis in law, she can file xerox copies only, and submit originals when the check is claimed. Ms. Nora. Im also a planholder and it will mature this coming July 2016 and other plans that will mature 2018 and 2019. I didnt know abt the deadline as I’m working abroad and my sister in law didn’t receive any notice. What do I need to do now. Please help. Im a plan holder of Family First with plan no FPN221864 my plan started in 2000 and matures oct 2015. How could i get my maturity benefits whom shall i see or call. I just only read this article now. I have also pre-need plan which will mature on August, 2016. How and where can I claim? Hope you can help me. Thanks. I also have no idea about this until I came across this website. Can we still be able to claim? I am currently overseas so I probably will just post copies of the requirements through courier. Hi Edwin, sent you an email. Hi Nora, like the other plan holder who posted in here I was not able to received any notification as well. My policy will be maturing mid of this month and I’m worried that I may not be able to claim it as I was not able to file. I need your help and advise on what should I do next. Hope you can send me an email too on what to do. Looking forward to it. Hi Jay, will send you an email. Hi Nora, I wasn’t aware of such as we were not notified thru any medium – formal letter, phone call, etc. Anyway we have policy maturing this April 2016 I believe. How can we claim that given what has happened in terms of Family First now owned by Legacy. Appreciate if you can call me at 0917-8328847. Hi Margie, send photocopies of your documents through a courier like LBC to the office of Atty Togonon here: http://www.workingpinoy.com/pre-need/danvil-plans/ The deadline was July 30, 2015, but you can still send your documents. Send copies of your first 3 ORs and last 3 ORs to substitute for your cert of full payment. Dear Miss, I am a plan holder of Berkley family first and was informed when the company was transferred to Danvil. I didn’t hear anything since then any updates from Danvil or so ever. I finished my payment last March 2007 and my maturity date is not due until March 2017. I live here abroad and I have mostly my documents with me apart from my final Payment cert. How will I be able to claim please. Thanks for ur advice. Hi zenaida, sorry, I’m not connected with Danvil. I only wrote about Danvil because I owned a plan before. File your documents asap at Atty. Togonon’s office. You can still file even if it’s already past the deadline. The address and list of required documents are here: http://www.workingpinoy.com/pre-need/danvil-plans/ God bless you too. I’ve just learned about your notice today.I know it’s already too late to apply but I’m still hoping that you would entertain me in this regard.I started paying my premium Feb.26,2004 and completed Dec.15,2008.I also didn’t receive any notice from Danvil. I would be very grateful for the help that you would extend me. Thank you and may our good Lord bless you all the time. Hi Romina, really sad about these pre-need failures. You can still file. If you’re abroad, file photocopies through a courier. Submit the originals upon getting your money. Please go here Notice from Danvil Plans to see the requirements and address. Hi ms, my maturity date is this coming dec 2015. Where can we see the master list if our name is included and to get our certificate of full payment? Because the maturity has taken a long time, we weren’t able to fix this earlier, but we have our policy. I think they can see we were fully paid. We didn’t have any idea there’s an issue with our insurance, but we are aware that they have changed names. I don’t want to lose hope that we can get what we have sacrificed for and paid for over so many years. Hi! I have been a plan holder of family first since 1997. I got my contribution already allotted for my eldest daughter already however last 2001 we got another plan from family first which became danvil and now I dont’t know the name until continous search we found out it’s already legacy. My policy has matured already and I wanted to know how to claim it. i don’t receive any correspondence from your company I don’ t even know your whereabouts anymore. Please give me an update. Hi Reynald, go here http://www.workingpinoy.com/pre-need/danvil-plans/ and see the list of requirements and the address of Atty. Togonon’s office. Sorry I don’t have the masterlist. Just go asap to their office with your requirements. Bring orig and xerox copies. You can file the photocopies and submit the originals later on when you get your check. Hi Ms. Nora. My mother is a planholder of Family First since Feb. 26, 2001 and the maturity is Feb. 26, 2016. My mother only recently found out about this. And based on the deadline to file claim, we missed out on it. I’m asking may we still apply for the claim and how. Also how to know if my mother is on the master list. Thank you so much. God bless. Hi Angela, see the list of requirements here http://www.workingpinoy.com/pre-need/danvil-plans/ and the office address, and file ASAP. You can still file after the deadline. File photocopies (present originals), and submit the originals when you get your check. Hi Ms. Nora, I’m a planholder too & to be matured on april 2016 & was not able to meet the deadline of july 30, 2015. Can I still claim? Please help me how to apply for the claim. Thank you so much. God bless us all! Hi Isabel, sad to say, I’m not from Danvil but I know that the payments were forfeited already in about 2002. That’s what happens with pre-need, insurance, real estate reservation/downpayments, condo plans, car plans, motorcycle plans — all payments are forfeited if payors default early. Hi Gloria, file ASAP the documents listed here: http://www.workingpinoy.com/pre-need/danvil-plans/ See the address — near corner Quezon Ave and Banawe. You can still file as long as your name is in the masterlist, or as long as your documents are valid. Hi Prescy, see the list of required documents here: http://www.workingpinoy.com/pre-need/danvil-plans/ File photocopies and present original copies when you get your cheque. The deadline was July 30, 2015, but you can still file, as long as your name is in the master list, but file ASAP. Dear Ms Nora. I am a plan holder also of Family First Future Provider Plan. My plan was fully paid since Oct 2007 and is about to mature on October 16, 2015. I do not know how and where to claim the amount due to me. Hope you can help me. Thanks. Dear Ms Nora, unfortunately, we MISSED the deadline so where would this leave us? In fact, we do not know where they are and my husband and I were both abroad. 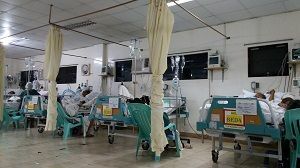 Hi Ed, get all the info here, including the requirement list: http://www.workingpinoy.com/pre-need/danvil-plans/ There’s a July 2015 deadline, but the Insurance Commission says that if your name is in the master list, you can still file your claim. So file ASAP. Thank you for your kindness sharing all the info you know about this matter.My father was a plan holder of berkely turns to danvil and I guess the maturity was 2016 so I ask my mother if they already prepared all the documents for claiming it but they didnt know about this changes going to legay thats why im so thankful for your kindness and sharing allthe info..now ill pursue my family to claim it before the end of the month..once again thank you so much..
Lots of thanks Ms. Nora ! Keep us all posted on the latest about Danvil. GOD bless ! Hi Arlene, I’m glad that you researched online before the deadline passed. I hope that after July 30, I’ll never receive a comment saying that they missed the deadline. Any planholder can get to the Danvil notice here, at Facebook pages, and other blogs if they will just research online. Yes, your statement of account should be accepted as your cert of full payment. Keep copies of everything that you submit. Yes, the list of requirements and the QC address written on the post above are valid and updated. File as soon as you can and not wait for the deadline. one more thing, i dont have a Cert. of Full Payment, but i have a Statement of Account indicating that i am fully paid, will they accept that? If not, where can i secure a Cert.of Full Payment. Help pls. , i need to meet the deadline. Hi ! I am a planholder, my policy will mature on 2016.. We actually had lost hope that we can still avail of our plan. But thanks to you Ms. Nora, thru you we knew about the latest update from Danvill. Thank GOD as well that I was able to know about it before the deadline, July 30.We will be filling for claims next week. May i just ask what important documents should we bring to their office. And if they still hold office at the given address in Quezon City. Has anyone been given their claims already? Hi Helen, here’s the update for Danvil planholders. Deadline is July 30, 2015 — NO extension. By the way, this blog is not affiliated with Danvil. I was just a Danvil planholder. Hi I am a planholder. I fully paid my insurance 10 yrs ago, after that never heard from your company, im planning to go back home this yr and I would like to withdraw all my money where should I go, which office? Why is there no update? anyway hope you can help me. Hello Ms. Nora, I am also a plan holder of Family First, Berkelay and then Danvil, which at present I’m at a lost how would I call the company. I am from Pampanga and I was one of the first batch (probably) of clients when they opened their office at SM Pampanga. When it comes to pre-need plans, I’m usually skeptical about them, actualy I don’t trust them to be exact, but they were good in marketing their product so to make the story short i found myself paying my monthly dues through my credit card. I finally had it fully paid in 2010 and at present I’m only waiting for the maturity of my policy. to my dismay, when I visited their office at SM Pampanga, I was informed that they are no longer holding office there and that it was another company which now holds office at SM Pampanga. I just want to verify if my investment is still in good hands and what are the chances of my being able to harvest the fruit of my hard labor. I’m just an ordinary government employee trying to make ends meet so it is only understandable that I want to make sure that the investment i have with Family First will help me see my kids through college… thank you very much and I hope you will be able to enlighten me on this matter… also, where does Family First hold their office now? I would love to visit them and inquire about the status of my policy.. thanks very much and God bless! Hi Rene, here’s the most recent notice: http://www.insurance.gov.ph/_@dmin/upload/reports/Notice2015Jan.pdf There are some updates here: http://www.workingpinoy.com/pre-need/danvil-plans/ Sad to say, Danvil no longer has a website. We can check insurance.gov.ph from time to time. Hi Nora, I am a planholder and maturity date is 9/20/2015. 1. Can you provide contact information where inquiry and concerns can be addressed? 2. Is there a website we can refer to? Hi glaiza, yes, family first is the same as danvil plans. Danvil Plans acquired Family First years ago. Danvil Plans is not the same as PPLIC. But Danvil Plans sold a certain type of insurance issued by PPLIC. The basic plan was issued by Danvil Plans. If you bought additional plans, check if they are owned by PPLIC. PPLIC is still active. For Danvil, wait for further announcement from the Insurance Commission. Check their website insurance.gov.ph from time to time. Hi Floressa, the failure of many Philippine pre-need firms is really horrible. You can request for your certificate of full payment from Danvil, but I don’t know where Danvil is holding office right now. You can email pubassist@insurance.gov.ph and ask for the email address or new office address of Danvil. hi! what can you advise? 2017 dec. is the maturity of my plan. will i wait to mature? then i read the requirements. i lost all copies of my policy when my cabinet got wet/flooded. Can i still claim? Thanks. It’s sad that I was a fresh graduate then and I was able to fully pay it, and it all goes to nothing. Please help. May 2 pension plans policies ako sa Danvil at na hold ko ang payments dahil sa nangyaring sitwasyon ng Family First at Danvil. Mga 70 percent na ang nahulugan ko sa sa bawat policy na yan. Ano dapat gawain para maibalik ang nahulog na pera kung ayaw mo na ituloy. Alam ko na hindi na maibalik lahat ng nahulog pero dapat may percentage pa rin na maibalik kung di mo na ituloy ang paghulog ng monthly payments sa policy. Sana malaman ko agad ang kasagutan para sa sitwasyon na ito.Nag alala lang ako at malaking pera din ang mawawala. Ano ang mag dapat gawin para maibalik ang claims ko. We apologize but please be also be informed that the company is currently on the process of transfer of office. You may temporary visit Insurance Commission or contact them at (632) 523-8461 local 105 for the mean time. my husband was a planholder and his plan matured last August 2013. When we were about to claim the maturity benefit we were disappointed when they told us that only half of the maturity will be given to us and the remaining balance will be divided into five years payable once every maturity month. We don’t have any choice so we accepted the half maturity benefit. And now after one year we are claiming again and sad to say their office in alabang was already abandoned and posted in their door only cel# of a certain Atty. Teresita Caalim which you can not receive any answers. We are now at lost bec. we don’t know how we can claim our money!!! So I want to warn all Danvil planholders to stop paying until you further verify. Thank you!!! Hi ms. Nora, I have a fully paid account. How can I claim specially the money back. May I know where to call and your office please. Thank you. To:Family First and or, any latest affiliates that took over FF Management. Where / How to find /coordinate with FF now? Likewise, readers, co-investors & FF let me ear (outburst) my ‘initial” feelings at the time I came to know of this changes and feeling of being robbed the 2nd time around…. “My latest follow up visit to FF office was sometime 2010 at 5th flr SM-Shangrila, EDSA, MLA., Phils. With still phobia from other pre-need company (CAP)that robbed me of benefits to my Two policies, I felt terribly helpless, angered and feed up of the same story again. Asking my self what’s going on in our country. Pre-need Company’s will simply took policy holder’s money assuring return of investment / benefits in years to come etc..and to know by that forecasted harvest year they simple ran away and took your money and they are gone??? What does it differs them with robbers on the buses / streets, thief in the night? They are worst coz’ they are openly shameless with open face walking well dressed up and calmly doing their missions while, robbers rob, ran, go & hide. Government are brought into shame by these robbers too that investors were openly being robbed helplessly. To continue my initial feeling of outburst at that time…. I said to my self if this is not settled, as a policy holder that invested a hard earned blood money but ended in despair with no where to go will equally compensate to retake the investment by the same way how money was earned.”(end). 1) Where are now the FF sweet street languages… when you are stopping me on my busy days in that yr 90’s…that I was convinced & invested. 2) That I will be cared, secured, bla-bla-, in conclusion that I won’t be facing any problems at all!. 3) IF MISMANAGED BY FF?….not a policy holders fault. Finally, at least I found a bit of relief of my outburst reading thru nets. Please guide me how to start to redeem my investment. I am a plan holder and I want to know the address of Family First/berkley//danvil/legacy in Makati City. Hi Jessie, yes, Berkley and Family First sold their business to Danvil years ago. Ms. Nora san po pwede kumuha ng statement of account? yung lists ng hulog sa danvil/berkley? Ask ko lang po if iisa na lang ang berkley family first plan and Danvil? Our maturity date po is May 18, 2014. I am about to process our claims. Thanks in advance! Pariho nyo mayroon din akong 2 policy sa Danvil full paid na 2011 pero wala pa akong na recieved na Certificate of full paid. 2 days ago basta naiisipan mag log on sa webside nila and I can’t log in. nag research ako at ang dami na information nabasa ko. Nag email na rin ako pero wala pang reply from danvil. Hope this email finds you well, im here in Bangkok working at the moment, itcame across my mind about my plan in Family First because i thought the maturity date will be next year. But when i double check the maturity date is on June 2016. Aside from the rumors and reading the problems that is happening in Family First is there any way i can communicate to them to pay me in full not waiting for my account maturity? How can i have someone to check my account since im here in Thailand at the moment? It would be a great pleasure if you can provide some assistance and help. Hi Maricel, email Danvil and request for your certificate of full payment. Give your Philippines address because they don’t send to addresses abroad. Hi Ms Nora. As i am browsing I came across in this page and very glad. I have pension plan with Berkley since 2000 and it will mature 2015. Do you think they will pay me in full as agreed in the policy? Isa pang tanong, if yung certificate of full payment e di makita, may way pa bang malaman if babayaran pa rin kasi meron naman silang record nun. Medyo matagal na rin kasi at nasa Canada ako. Salamat. This page is really a big help. the My Family First website. Reading some of the poliy holder comments make me confused now. I am a policy holder of My Family First/Berkley and the maturity date will due on 2017. Maki claim ko pa ba ito pagdating ng 2017? Your advice will be very much appreciated. kindly please release the certificate of full payment of florecia lacar malabad..we are waiting so long for than.please make an action. I am sorry but it is not.. it is the report of those pre-need companies that their license are being revoked/suspended and Danvil is in there..
And to share something, my mom got a chance to visit Danvil at their Alabang branch near ISUZU.. She was advised that she could only get half of the sum of premiums she’d paid for terminating her plan. She would be needing their Danvil docs (if you could consider the terminology), 2valid id’s and a Cancellation Letter.. 😛 Then she could get her claim after 3weeks.. I have inquiries to make as my mother has a pension plan that will mature supposedly on 2015 and my father has also the same plan that will mature on 2016.. I heard this thing about Philippine Prudential Life Insurance Corporation taking over the Danvil? Is it true? Then what will happen to my parents’ plans? Can they still claim their premiums in whole? And how can they claim it? I also searched in other sites that Danvil’s Alabang site is being occupied by a certain bank, and their contact numbers are not in reached? Another thing, if their licensed was on hold last 2012, this mean that they’re operating illegally? Please response.. Your concern is very much appreciated..
ok thank you, i’ll print nal;ng din siguro this sample, eto nalang ipa sign ko sa mother ko then ipa notary, is that ok?? please, answer our question asap, we need the money for my mother treatment. hi, good day ask ko lng sana kasi planholder ang mother ko, family first pa, matured na nung 2010 pa, may makukuha nya na ba yung pera nya? Hi,Ms. Nora, so good you have this website. I was searching the internet for some info about Family First/Berkeley/then Danvil, because my aunt wanted to have an update because she plans on terminating before maturity (2015)of her 2nd plan. just glad that we were able to claim on maturity last 2010 pa. My aunt has 2 plans, the first was claimed also in 2010 (bec. both have been fully paid already), and the other one, to mature in 2015. Does this mean that she can only claim 50% as you said in your earlier posts? if she wants to terminate and claim now, how much is Danvil giving? and how long is the processing gonna take? I have a matured family first/berkely insurance, where can i file claims and contact number pls. I have 3account holder.. at first account is maturity 2019, and 2 other binabayaran pa… ill send money to my aunt, para magbayad.. pero hindi daw tinaggap… de terminated daw,, im so angry, sabi ko bakit na determinated eh updated ka naman… so bumalik sila uli at nalaman ko na nalugi daw…or something…. eh try ko buksan ang website, dahil nabuksan ko pa, a month ago.. ngayun hindi na…. now my question, paano ko makuha ang pera? nababayaran ko na??? maibalik ba nila lahat na pera nabayaran ko?.. hope pls kindly help me, na angry ako ngayun, dahil ditto…. ngayun gagawa ako sulat for autorazation. in early windrawal??? dahil wala din ako sa pinas… abroad din.. I am so glad that I found this website. I am one of the policy holder of Danvil with Family First account. My plan is fully paid and will mature on 2019. May I request if we can unite and form a legal move against the Co. starting from here to claim our invested money. I am base in Saudi Arabia and I believe others are living outside the country as well. WE can also use FB for this purpose. But I prefer, this site will do. I just do not have the time to initiate the move because of the nature of my Job. Thanks, and hope to hear a favorable response. Im a policy holder of Berkeley intl plans inc. which I invested last june 1998. My maturity date is on june 20013 . Where can I claim ? My plan type, premium provider plan.